Facebook recently announced significant changes and updates to the world’s largest social media platform. Many of these changes will create new and better advertising opportunities for business owners. 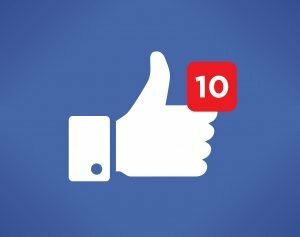 This article will review some of the important announcements Facebook has made in the past couple of weeks. Facebook’s metrics are one of the major benefits of using Facebook advertising, since they allow business owners and marketers to make informed decisions about the effectiveness of their campaigns and ads. However, as was shown last year when Facebook had to revise its video views metrics, the way Facebook measures key metrics can obscure details and make the metric slightly less useful. Facebook has announced that they will make ad measurements more useful by telling business owners how often visitors from ads make it to the loaded web site. Currently, when Facebook measures Link Clicks, it only measures the times someone clicked the link. This may sound obvious, but there are ways this simplistic measurement can be misleading. Not everyone who clicks a link reaches the website. Besides being more accurate, a “landing page views” metric will have a practical value for marketers. Since Facebook can optimize ad performance towards a particular metric, such as ads for page likes or video views, being able to produce a landing page views optimized ads would be a way to deliver better results. The metric would also help website owners know if there is an issue with their site. If a large number of people click the link but few make it on the landing page long enough for it to load, it would be clear the site’s design needs to be fixed. Additionally, a new “pre-impression activity breakdown” metric is coming soon that shows the number of people who have previously engaged with an advertiser’s website or app versus new visitors. Facebook will check for a pixel or triggered an app event associated with a business from another ad in the weeks prior. Additionally, Facebook will start reporting how many times people mentioned a Page when responding to a friend using Facebook’s Recommendations feature to solicit suggestions for local places to check out, like restaurants and stores. These new features will be available soon. For more recent news about online marketing, read this article on the growing popularity of vertical videos on mobile devices.